Jack: Welcome to the show today. 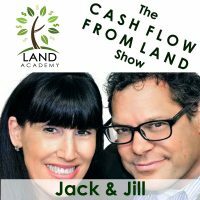 In this episode, Jill and I talk about the top three places real estate investors get stuck, those bottlenecks. And they’re different for everybody. Before we get into it, let’s take a question posted by one of our members on the landinvestors.com online community. It’s free. Jack: I used to do this before the internet. I used to do it in the classified ads. Jill: … properties and stuff too? Jack: That’s how I learned. Jack: I actually came up with this myself. I would put a fake classified ad for a rental house, and just see how many calls I would get. Off the Sunday paper, one ad. Remember that? Jack: The first one I did, and I never did it again after that for rental houses. I got 140 calls. Jack: Massive lack of rental property in that area. Jill: Well here’s the thing too, Andy. You’ll know pretty darn quick if you have six voicemails on the first day, like well I guess I need to go buy that, and see how many more I can find. Jill: So even if you don’t get back to them or call them back, you’ll know, but be, Jack said he’s great. Get their information cause you know they’re interested, so there’s your buyers list. Here’s the general area. Stop in the grocery store that’s over there or whatever. Get that person to say, “Hey what’s it like?” The person who’s behind the counter. Jill does this all the time. She’ll call local business right off of Google Earth, and ask them about, before we buy property. Just be a social butterfly about the whole thing. Jill: It’s so funny, I know. Could you step outside and look across the street? Seriously. Jill: I have done that. Jack: I know you have. Jill: They’re like this is the weirdest thing on the planet, but okay. I would do that. Jack: And then they just fall in love with her like everyone. Jill: It’s so funny. I have no fear. Jack: I know you don’t. Jill: Where does that happen? That’s nature. Jill: That’s true nature, yeah. Jill: I really have no fear. Jill: I think my parents were worried about me as a child too, like uh-ho. And that’s part of the can’t say no. I’ll go alright pick me. She has no idea what she’s getting into. I’m like, nope but I’ll figure it out. Jack: Somebody asked Ross Perot when he hires top level executives what he looks for. And he said that trait that you’re describing. Jack: They’re going to take it on. Full steam ahead. Jill: Yeah, I will. And if you tell me … we’ve talked about this before too. If you tell me it can’t be done, oh those are fighting words. Jack: Yeah, me too. I’m like that too. 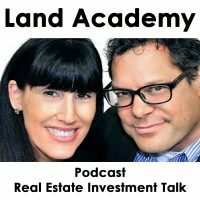 If you have a question or you’d like to be on the show, reach out to either one of us on landinvestors.com. Today’s topic. What are the top three bottlenecks or places that investors get stuck in the long line of tasks that they have do to start buying real estate and selling it for more? This is the meat of the show. What are they for you, Jill? Let’s start there. Jill: Okay. I made a list and I was thinking about the many mostly newer investors, but there’s a new investor bottleneck, how bout that. There’s a middle level investor bottleneck and then I see more advanced investor bottlenecks, so here they are. For really really brand new people, I see them get hung up on that initial first step of, really it’s just pushing the button to send the mail and start. Seriously. Jack: Just to get the thing in the mail? Jill: Get it in the mail. There’s a little bottleneck. They get into analysis paralysis, and they are over analyzing the area and overlooking all the data. And so just trusting that they did it right, and get it in the mail. Jack: I love this show. I love this topic. And so we should spend a little bit more time than we usually do on it. Cause there’s probably, I’m guessing, thousands of people, you know, that’s the only reason you’d listen to the show and not act on it. There’s something in the back of their head. Jack: I think the root of what you just said, the analysis paralysis slash getting in the mail is just this deep seated probably subconscious fear of failure. Jack: So my number one skeptical issue is does this even work? Like believing. Believing in it. Jill: So even before you get to that point. Jack: Yeah, like what … these guys aren’t … who is this Jack and Jill hokey thing? Jill: Well how can you resell property if you don’t improve it somehow? Jill: That’s a good one. I hear that all the time. Jill: Well fine. Don’t do it. I’ll buy it. Jill: Yeah, again, don’t do it. I’ll buy it. It’s so easy for me to say I don’t know. Fine. I’ll buy it. Jack: So that was a big issue for me when I started, like this is there something somebody’s lying about something. So that’s why we created landinvestors.com. Go on there. Jack: Type keyword search skeptical. It’s hilarious some of the questions that people ask and now they’re like our most productive members. Jill: Yeah, it’s very true and I say that our most skeptical people are our, some of our most successful people. Cause they really dug in to make sure. And I appreciate that. Jack: There’s a few more. Jill: Cause they’re not messing around. Jack: Here’s a few more that fall under the believing problem. Why are you taking advantage of this person? Why don’t you give them full price for their property? Jill: I never get that. Jack: I get it from some of the most intelligent people I know. Jill: I never get … who are you? Jack: What is this slimy business you’re in? Say it again? You sent out a bunch of offers that are unsolicited? They don’t even want to sell their land? Or their houses? Who do you think you are? I get that. Jack: Like a cocktail party for smart people. Jill: I don’t hang out with those people. Jack: There’s power in numbers, Jill. It’s a good thing there’s two of us. Jill’s over in the corner doing jello shots. Jill: That’s where I am, cause we’re not talking about anything important. Nobody even knows that I have a job. That’s where I’m hanging out. You’re in the other corner having these meaningful conversations. Jill: And I’m at the bar. Jack: This reminds me that, the whole Joanne Woodward thing. Jack: I don’t know if I’ve said it on the show or not. Jack: And I loved that. Jill: My favorite one, speaking since on the I’m going to finish the cocktail party thing cause I think it’s funny. People ask, we’re talking, and they look to you, and then they find out, and they look to me and they’re like, “And what do you do?” Like I’m going to say, “I paint.” Or something. I don’t know. And I’m like, and I just kind of laugh. Jack: Like you’re just the wife. Jill: I’m just the wife. Jill: Oh I run the carpool. I’m the PTA president. Like, yeah. Jack: I’m in charge of jello shots at our house. Jill: That’s right. That’s so funny. Jack: So once you get past the believing thing, and most people don’t. Jill: And getting started and pushing the button and doing it. Jack: Most people don’t. They don’t get past it. Or they just find something and frankly I don’t think, the reason they don’t get past it is cause they just don’t believe. There’s a lot of stuff I don’t believe in too. Jack: Like, owning a manufacturing company, you can stop right there. I never ever would want have any interest in owning a manufacturing company. The start up costs are insane. They’re all riddled with debt. There’s cheaper to do it overseas. Jack: My best friend in life owns multiple manufacturing companies. He’s a multi billionaire. From high school, and I would never want any part of that. But that’s all he does. So real estate investing is not for some people. Jack: And especially the way we do it. Number two. The biggest question that I get. This is the single biggest question that I get on the internet and from anyone. Jack, I’m not a math person. I don’t like data. I don’t like spreadsheets. I’m a hands on person. I like to drive down a street and look at real estate. And I love the real estate part of it, but getting a spreadsheet of 2000 owners in a neighborhood and analyzing data and looking at pricing it correctly and sending it, I don’t understand that. And here’s my advice to you. Find another profession. If that’s really a big bottleneck for you, and you love the real estate part it, and the wallpaper part of it, and the window treatments or whatever. This is not for you at all. You should probably be a real estate agent or something. And I’m not kidding. You can get over the believing part. You can’t get over, this is riddled, this is immersed in math and data and relational databases. And I don’t want to scare you, but hopefully if you’re listening to this and you’re like, well I do that in my job anyway. I’m a mechanical engineer or I’m an accountant. We have a lot of medical doctors for some reason. Really analytical people. Jack: This is for you. Jill: Those smart people. Do you know what my number two is? Jack: Like husband and wife own a property. Wife is deceased. All that kind of stuff? Jill: Yeah, and instead of, and they think that the one home run is the last home run they’re ever going to see. Jill: And I’m like, no no hang in there. Pass on it. Take the easy ones. Send more mail. Pass. Take the easy ones. Send more mail. That’s the mantra that you should be having. Jill: I stopped saying it anymore. Cause I’m like, oh that didn’t, whatever, it’s all gone. Jack: We went to an auction one time and we bought 11,000 properties. Jack: I’m sorry 1100 properties for very very little money. Jill: It was the weirdest thing. Jill: We were high fiving each other in the car all the way home. Jack: We were stunned. My jaw was on the dashboard the whole way. Jack: And then the next year, I mean that was a great, numbers wise we’ve never done anything better, but we’ve done single asset deals where we’ve turned it and made way more money. And a lot less work. Jack: Trying to sell 1100 properties in one subdivision. Jack: We ended up wholesaling it all out to, for a tremendous gain, wholesaling what was left after we sold a few. Jack: So my number three issue that I see, and I actually, all three of these things to some degree I struggle with, which is why they’re my top three. But there’s always different top threes. Is once you get into it, once you sell a few of these properties, and you realize, and you do it successfully, maybe you make a few mistakes. Hopefully you do make a few mistakes and you’re into it. Now where do I make that break point where, okay I know what this works. I have to, and this is where inspiration comes in more than information. Jill: Ah, that’s me. I heard my name. Jack: Yeah, or your husband. So life sets in. And then you can’t get, you just say, uh I’m just going to go back and do my job. My regular job. Forget it. Maybe I’ll send some more mail out, maybe I won’t. That was a problem for me, for like two years. Jill: Got it. Your former wife got in the way. Jack: No. Has nothing to do with the wives. Jack: Wives or not wives. Jack: Nothing to do with that. Jack: My awesome killer job that I left is really what I mean. It was a high six digit job. Jack: And I chucked it for, thank God I did. Jill: Yeah. You know what my number three is? It’s kind of on the same lines. I wrote it’s letting go to grow. Jack: Yeah. So we have the same number three I guess. Jill: Yeah, but for my letting go is not just so much of job, keeping a day job or not keeping a day job. Let’s say you’re humming along and this is going really really really great. And you want to step it up a level. You have to … and you’re running around. This is typically how this happens with these, when you’re starting out. You wear all the hats. Jill: And then at some point you realize I can’t wear this hat. I can’t keep doing this if I want to grow. There’s no way I can handle all the phones, all the this, do all the deeds, do all the postings, do all the mailers and everything by myself and make and grow anymore. So you have to let go of some of the things to grow your business. And I see that for people being, it’s a little bit uncomfortable. Jack: You know, the good news is. I agree with you. The good news is that we live in a time where it’s never been easier and the cost has never been lower to start a business, to hire people overseas. There’s so many resources. Often you hear people, oh it’s not like the good old days. That’s a pile of malarkey. This is way better. We live in a much much much better time than whatever you think the good old days are. Jack: Listener, not you Jill. It’s way easier to hire incredibly incredibly talented people overseas for three, four, five dollars an hour. Jack: You know, it used to be you’d have to hire them and pay their benefits and they’d have to get an office and all of that. Jack: For us, we do a little bit of both and for whatever reason that works. Maybe it’s cause of my age, but we need to have full time employees working there, but when you’re just starting out, you don’t want to do deeds. Pretty easy to find somebody to do them real cheap. Jill: Exactly. Yeah. And there’s tools out there to help you. Jack: That’s a good point, Jill. You make a great point. Jill: Thank you very much. Jack: I guess it falls under organization. Just staying organized and staying on top of the deals. Jill: Well even more than that, cause I’ve even had my employees as I have, you know we have a lot of little sub companies that we run. All these different products. And I get my employees, like I have a new employee right now. I’ll give you a good example. Offers to owners. So as it was coming up and growing, I had one person overseeing the whole thing. Well then obviously she got a handle on, you kind of want to learn the job before you can teach the job, or assign different tasks. So I helped her understand the whole thing, and now we’re subbing out some of the things that don’t require her time. Jack: You taught the teacher. Jill: Exactly. So now and for her, she even said to me, “It was a little hard to let go of that stuff.” I’m like, yeah. Jack: It’s nice that you talk to your employees. Jill: I do talk to my employees. Jack: Cause I don’t talk to mine at all. Jill: I help them. It’s an interesting concept. Jack: Staff. And we’re responsible for separate sub companies. Jack: Why? You ask. Why would you do that, Jack? Jill: And this is the only time we talk. Jack: I’m interested in having a relationship. Jill: You’re so funny. But yes, so you have to let that go. So, you know, here’s my last little point about that. You have to think, and I love this, I didn’t make up this concept, and I love this concept. Think like a franchisor. You got to be able to, if you don’t have that setting up systems and growing, and I think I got that from you, Jack to be honest. Jack: I know you did. Jill: Is if you can’t think like that, you’re not going to make, you can’t grow it. Jill: Cause you’ll always be the one, you’ll always have this little mom and pop sandwich shop that you can’t duplicate cause you didn’t create systems. Jack: Yeah, so you want to for your first ten deals, you want to do everything. And then at some point you’re going to say “Man, I hate talking to people.” If you’re like me. And then so you can outsource that. Or man I hate doing X.
Jill: Doing the deeds, and getting the recording, and all that good stuff. Jack: Right. Or answering the phone. Or there’s a few things that you should not ever outsource in my opinion, and one of them is pricing. How you’re pricing a mailer, and how you manipulate data. Those are two things that will make or break the quality of the mailer and how much you succeed. And then the relationship piece. Especially with houses. The guys that are flip the renovators I call them, not the flippers, cause we’re flippers. You want to have that personal relationship with those people. It’s really really important cause stuff goes sideways. If you want to just, everybody sit down and say alright. And if you outsource that, if you outsource customer service and relationships and stuff, you’re going to have problems. Jack: Join us in the next episode, where we discuss East Coast versus West Coast investing. Man, they’re different. Jill: Right? And we answer Billy’s question about assessed value. Jill: I like these things. So we really came up with six bottlenecks. Cause you kind of had three and I had three, but a lot of them overlap. Jack: Yeah, well it’s interesting because the people that I end up talking to I’ve noticed, and then the customers slash members slash investors, wherever they are in their career or buyers or sellers. They’re completely different than the people who seek me out are not the same people who seek you out. Jill: I was just going to say that. Exactly. Jack: That kind of thing. Jill: Which is good. I like that people can come to me with anything. Well they can come to you with anything too, but they know what we can each help with. Jill: If that makes sense.